Vadivarhe Speciality Chemicals is a globally active, Indian chemical producer, focused on organic chemicals and custom synthesis and primarily engaged in manufacturing of Speciality chemicals, Active Pharmaceutical ingredients, intermediate and personal care ingredients. The Company is also ISO 9001:2015 certified company by Quality Systems Zurich. The company has also received WHO- GMP Certificate for our Manufacturing, Marketing & Supply of Active Pharma Ingredients i.e. API’s and internediates. The manufacturing facility is located at Vadivarhe, Nashik which is about 20 Km from Nashik towards Mumbai and around 150 Km from Mumbai. Over the years, it has established itself as a successful Manufacturer of Organic Chemicals with a core focus on Intermediates, Personal Care Products and Speciality Chemicals. The company has entered into an agreement with Enaltec Labs Pvt Ltd dated December 03, 2012 to manufacture API products for them for a period of 10 years based on the material and specification provided by them. Under the agreement, Vadivarhe Speciality Chemicals has provided working capital subject to a maximum of Rs. 4.00 crore for facilitating the manufacture of products of Enaltec Labs Pvt. Ltd. As per the terms of the agreement, Vadivarhe Speciality Chemicals will also not manufacture or market the products manufactured by Enaltec Labs Pvt. Ltd. during the continuance of the agreement. The company has also entered into an agreement with Zenvision Pharma LLP for offering its manufacturing facility on Loan and License basis. Purrsuant to the agreement, the Company has given a security deposit to Zenvision Pharma LLP of Rs. 2,50,00,000 (Rupees Two crore fifty lacs only) during the financial year 2016-17. Some of its major clients are Glaxo Smithkline Pharmaceuticals Ltd, Fine Organics Ltd UK, Chem-Impex International INC, D C Fine Chemicals, USV Ltd, Lupin Ltd, Mankind Pharma Limited, Himedia Laboratories Pvt. Ltd., Hetero Labs Ltd & many others in the Domestic and International sector. 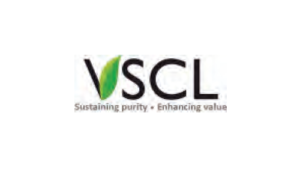 Vadivarhe Speciality Chemicals IPO allotment status is now available on Bigshare Services Private Limited website. Click on this link to get allotment status. Is there any GMP in this SME??? Review Please About Vadivarhe Speciality Chemicals IPO – ??? Good SME IPO to Apply ?? ?